Ready for a fun fact about me? I have filler in my lips! I’ve wanted to fill my lips since I was 20. I wouldn’t wear lipstick or lipgloss with ANY color because I didn’t want to draw attention to how thin (I thought) my lips were. I waited 6 years and finally decided to go for it. Fillers were still really taboo at that time… This was wayyy before Kylie made them a thing. I found a doctor in one of those coupon clipper magazines that had a ridiculously good price. He was very friendly and very understanding that I wanted to keep a natural look. I didn’t want anyone to notice that I’d done anything to my face. 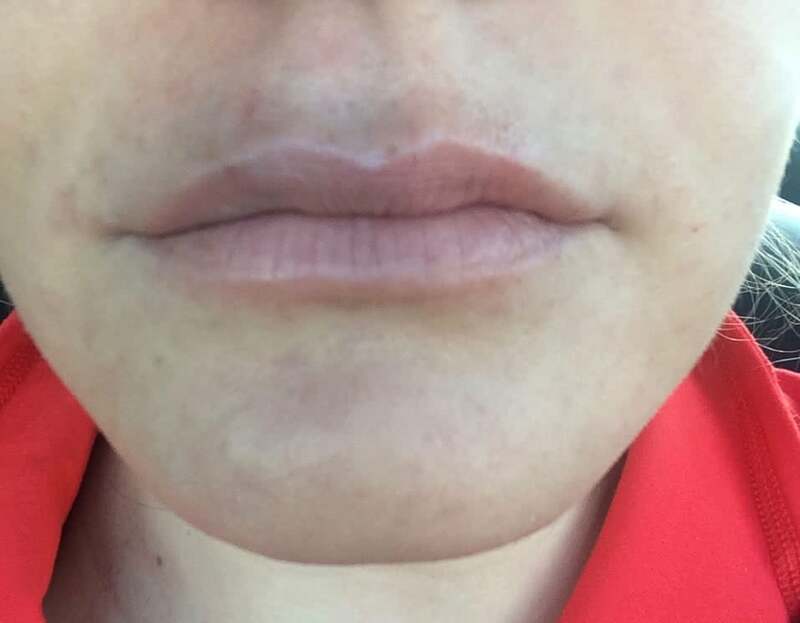 After 30 minutes numbing my lips and him trying to calm me down, we decided to only put ½ a syringe of Juvederm Ultra in my top lip. The Dr. told me I had to use the full syringe or it goes to waste. I was too scared to look fake so I didn’t use it. I was swollen for a few days and got a few comments from coworkers (I denied it- the SHAME). 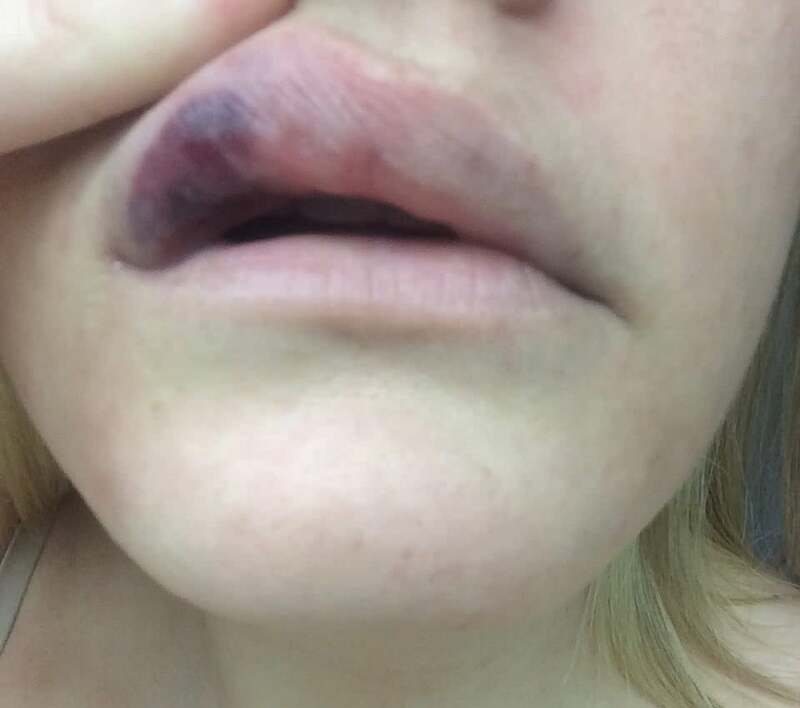 But, once the swelling died down I could honestly say for the first time in my life that I loved my lips! So subtle but definitely more full. I even started to wear colored lipgloss! Anyways, when I met Steve I still had Juvederm in my lips. (I got it in December and we met in September- it lasts 6 months to a year). When we started dating, Steve told me he doesn’t get the whole “Botox and puffy Lip thing”. I was SO into him and didn’t want him to know I’d done both so I nodded my head and chuckled to myself. Well, 3 months after we began dating I started working at a Medical Spa. Discounted Botox and Juvederm- sign me up! About two weeks in, I decided to use my discount and get a lip refill. I was still new and didn’t want everyone to think I was a wimp so I pretended to be calm but I was freaking out about doing my lips again. I was so worried they’d look horrible and fake, or even worse, bruise. I had the most experienced nurse inject me and she convinced me to do both of my lips to keep it even. She also told me to use the whole syringe because its really not that much product and I will love the results. I only numbed my lips for like 10 minutes, and didn’t put enough on because I was also working at the front desk and didn’t want to scare patients away. She had a few minutes so we ran to the room and started to inject before the numbing cream set in. OMG it hurt SO BAD. I also immediately bruised… Bad. Since I bruised so quickly we didn’t get to finish the syringe. 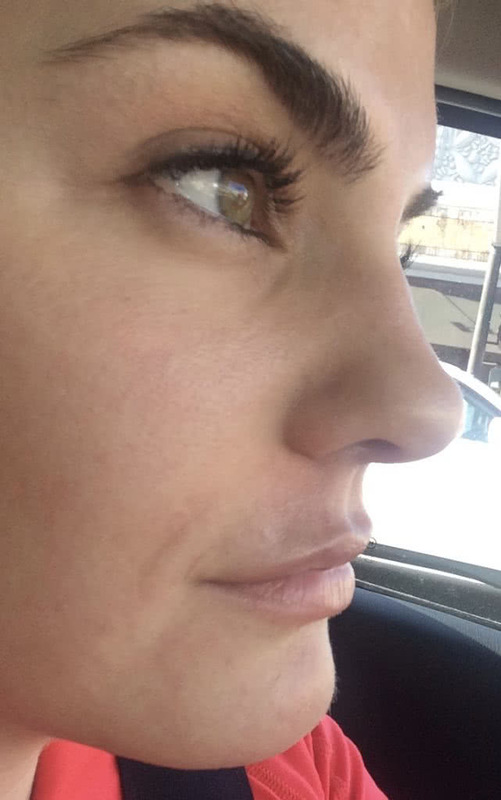 Right after my second lip injection- I loved the profile view! On the way home the song “Fat Lip” from Sum 41 came on the radio- I took a picture and sent it to the nurse. We laughed and laughed. Until I realized my fat purple lip wasn’t going away. The next morning my bruise was much worse. I couldn’t go to work like this. My darkest color lipgloss didn’t come close to covering it. I had to stop by MAC and have a professional help me find a lipstick that would work. I ended up getting a more purple-red that covered it pretty well. That night Steve came over and I couldn’t make eye contact. I avoided kissing him and kept trying to focus his attention elsewhere. This went on for two days then he finally asked me if I was breaking up with him. I felt horrible and I fessed up. He said as long as it looks natural its ok, he just likes my face and doesn’t want me to mess with it! 4 years later and I still freak out every time I get my lips done. You just never know what’s going to happen/ how they will look! Last time I tried Juvederm Vollure. This product supposedly lasts 12-18 months VS. Juvederm’s 6-12 (i’ve found it generally barely lasts 6 months in me). It also doesn’t swell as bad. I will definitely use Vollure again. 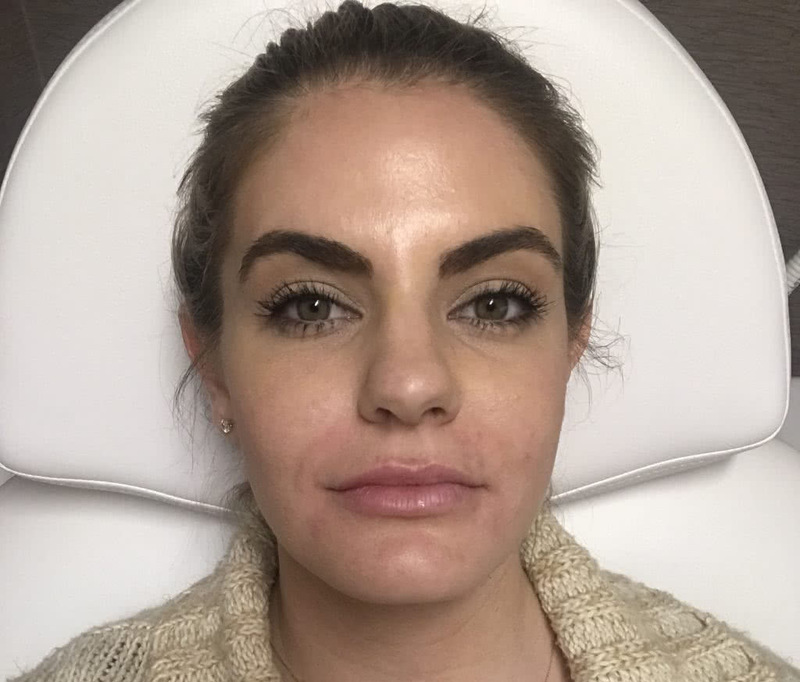 Juvederm injections induce more production of collagen, which helps to further firm and plump your skin and reduce wrinkles over time- meaning your lips will look fuller, even without getting injections all the time! Juvederm is made with a hyaluronic acid gel. Hyaluronic acid is a sugar that’s found naturally in your skin. Its function is to absorb water, deliver nutrients and act as a cushioning agent. So when you inject it into your skin, it acts like a sponge and expands to fill in wrinkles and folds and support sunken areas. The extra water brought to the skin’s surface also imparts a fresh, glowing radiance and a soft, supple skin texture. Right after I got them done last month- I did Vollure this time! Juvederm is TRICKY, and it affects everyone differently. First of all, It hurts- use numbing cream! Your provider should have some. You will swell and feel tender for at least 3 days. Try scheduling it around a vacation or a weekend. When your lips calm down from swelling you may or may not like the shape. (For me, I hate getting anything put in my bottom lip. But I look uneven when I don’t. So I do it, and freak out every time). Since that first time, I’ve learned that you actually can go back and use the remaining syringe up to 3 months later! Make sure you ask the Med Spa about their policy- the products will last but they may try to upsell you to purchase more. 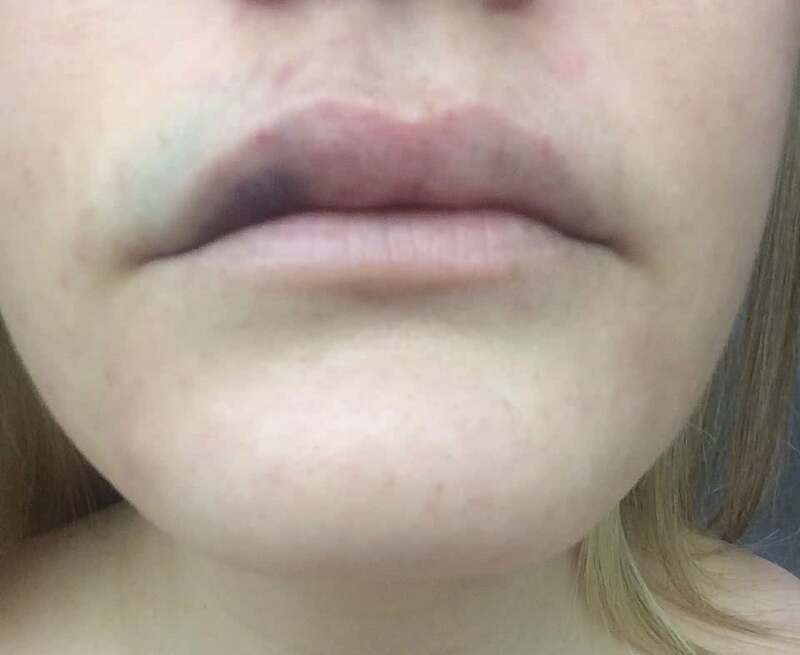 The nice thing about filler is that your lips won’t swell immediately so you can get a glimpse of what your lips will look like when the swelling dies down. Find examples of lips that you like, and know what you like about them. This sounds funny but, pictures help! There are different shapes, and not all will work for your lips or face. Go to an experienced professional. Try to find before and after pictures of their clients & read reviews. Juvederm can cost anywhere from $360-$650. Many Med Spas will have specials running, or will negotiate price. You definitely want your nurse or doctor to be someone that injects lips regularly. You don’t need to go to a dermatologist or plastic surgeon- they are usually way more expensive, and oftentimes not as good. There’s an “undo” button. If you hate your lips (or part of your lips) after the swelling goes down you can dissolve the product with hyaluronidase. Just know, it’s always an option. Don’t be bullied. This is my biggest pet peeve! Trust your gut with what shape you prefer and how full you want to go. If the injector is trying to pressure you to do more or try a new technique it is ok to say no! This is your face, not theirs. The homeopathic “Arnica” helps with bruising. It can be applied topically or in pill form. Apply an ice pack for 5-10 minutes every hour or so to help with swelling. Wait a full week after Juvéderm before getting any other facial treatment. Don’t drink alcohol 24 hours after the treatment. Don’t workout or do any strenuous activities for the rest of the day. Take Tylenol if you must, no other painkillers for 24 hours. It’s possible to have small lumps or bumps the first week after injections. If it does not go away in a week, contact your provider- they can get them out. 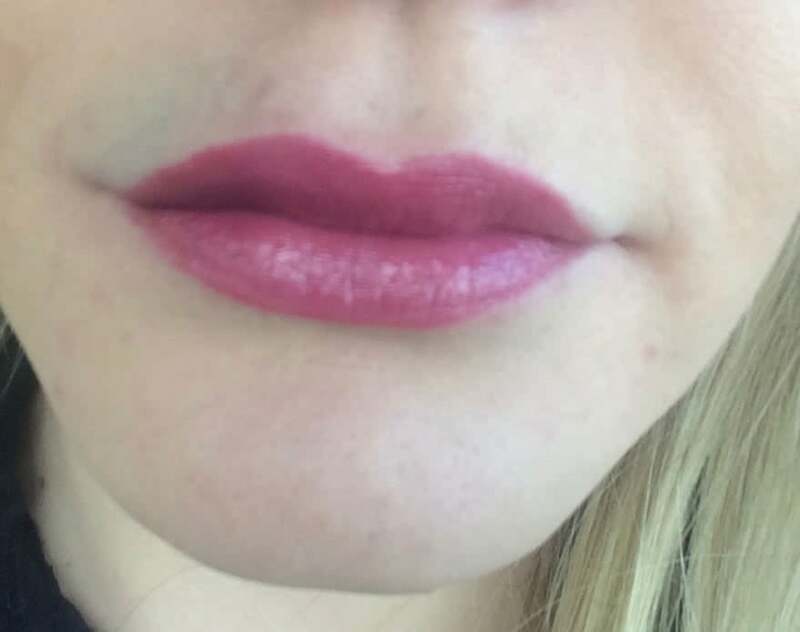 I hope this post helps you decide if lip fillers are right for you! BTW, If you are thinking of changing or enhancing anything on your body, go for it! Don’t listen to what other people say. I guarantee your mom/ boyfriend/ grandma/ and even some friends will not understand it. They’ll say that you are perfect the way you are (which is true). But if its something you think about regularly, you have researched the practitioner and procedure and still want to try it, I say DO IT! Please let me know if you have any questions- I’m happy to answer them! P.S. 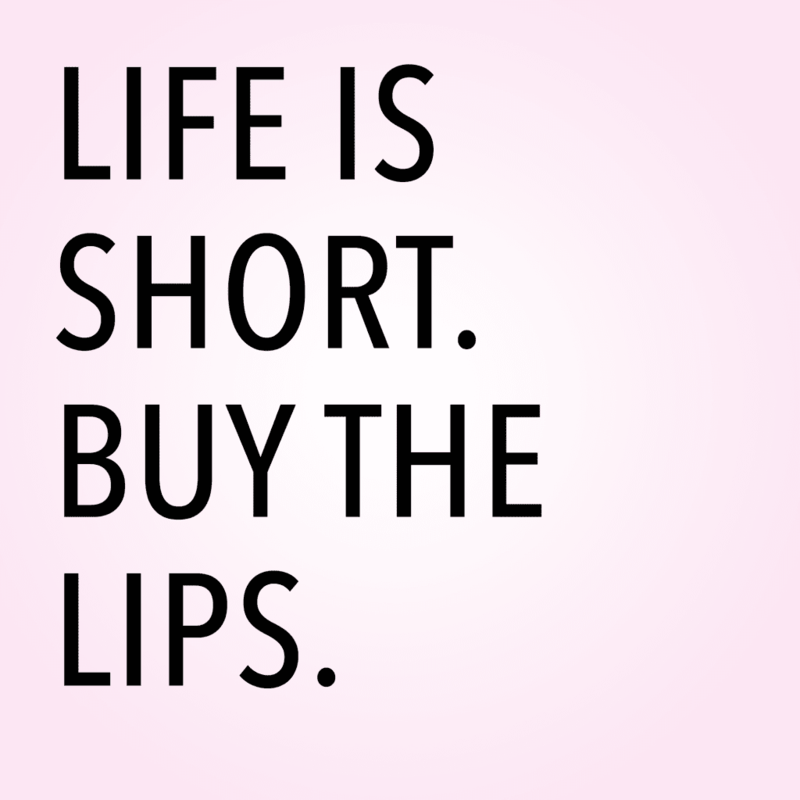 If you don’t want to fill your lips but want a little extra somethin- try Grande Lips! This is hands down my favorite lip plumper on the market! They have SO many great color options too! 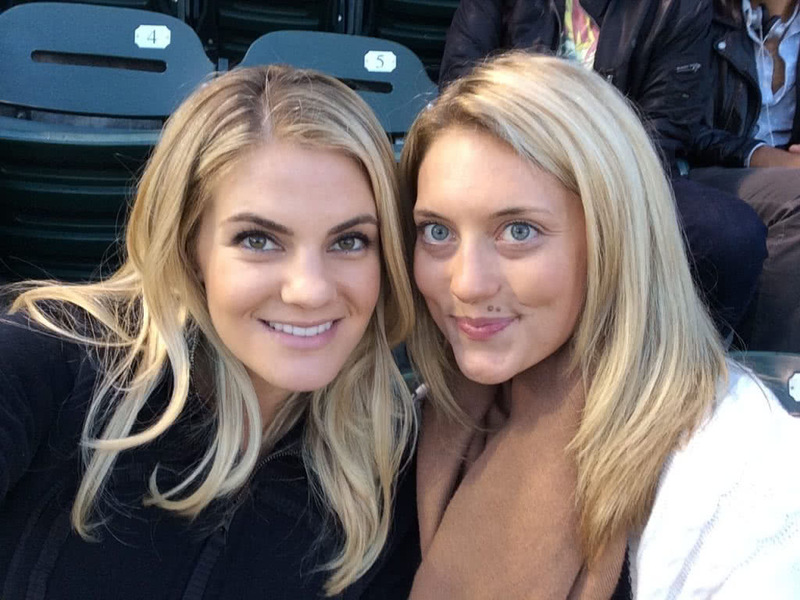 I love this blog post because it answers so many questions from a rea experience with lip injections! Thanks for being so informative on all things skincare. 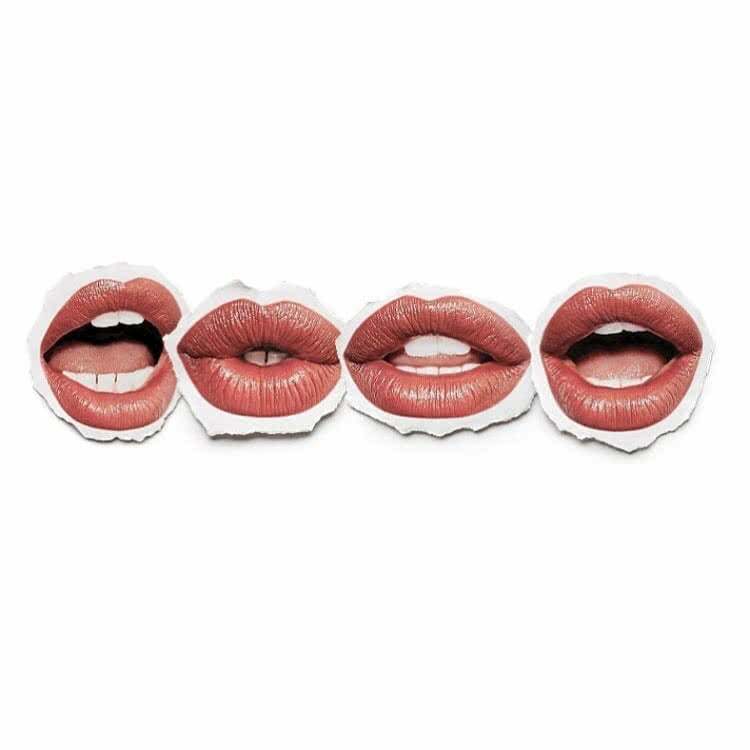 I loved reading about lip injections as I’ve been curious about getting them. 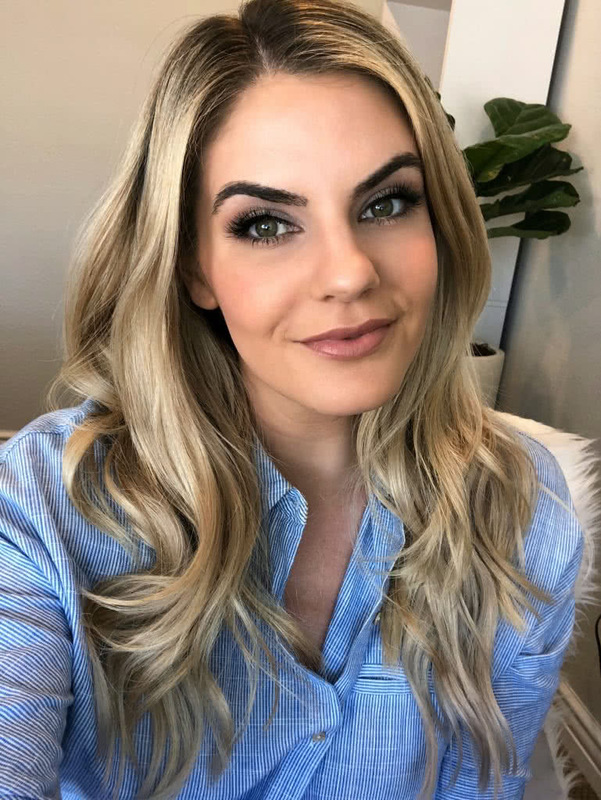 Thanks for being so informative always and taking us on your skincare journey!